Yesterday I visited Payne’s Hut for the first time in many months and the usual happened – my mouth was agape… a little earlier this time though, as I travelled along the driveway and saw the new igloo installed in the veggie patch, the impressive verandah around the main Hut and marvelled at the leaf-less garden this time of year. Touring through the garden, the new laundry frame is in. In the main Hut, the newly enlarged main kitchen (the outdoor kitchen is going strong) is so delightful. Accordion windows will be installed soon and afternoon teas served through here will be such a treat. The verandah is certainly the place where dreams become real. As it is anytime, now is a wonderful time to be at Payne’s Hut. The blue skies and sunshine didn’t quite make it out for the photos though Flora the dog did! Tess has come up with a clever new tagline for Payne’s Hut: “Reconnect, unplugged” – originating from electric guitarists in the ’80s who reinvented themselves by being acoustic. In Payne’s Hut terms, this reflects people coming to Payne’s Hut, enjoying relaxing times, delighting in their phones no longer connecting and perhaps even reconnecting with what’s important in their work and lives. In a similar way, we encourage you to enjoy a pre-Christmas get together or gathering as a lead into the Christmas season – sit around open fires together or at the bar, sit along our new verandah overlooking the Shannonvale Valley, or in the dining hall that now seats 20 people. Always remember that Gordy’s “Glen Wills Retreat” up the road can extend the number of people you can bring into the area to 20 (accommodated across both properties). It accommodates up to 11 singles or 8 couples and is now complete with ensuites. The scene is now set to celebrate each other be it family, friends or workmates. 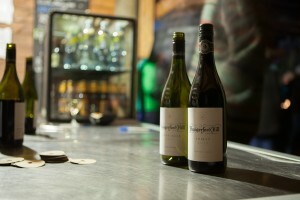 Enjoy good food, BYO drinks or buy from the bar, soft drinks available. Be enticed by our seasonal, 2-course dinners, or simply use the outdoor kitchen to whip up your own delights. The property is yours to explore and to luxuriate in. Early bookings assure you the dates you’re after – especially the public holiday weekends. Book your “Reconnect, unplugged” stay now. Here at Payne’s Hut, the big news over Winter was transferring the igloo from a laundry on the Western side of the property to atop the rich garden beds. The compost created from Do Lectures in April has now turned into luscious soil which has now enabled us to fill the igloo where we’ve sown and planted the seeds of the lettuce. Spring veggies are developing early thanks to the generosity of Nielsen’s Nursery. Kale has worked well this year (more going in soon) and rhubarb is starting to pop it’s head out if the strawbeds. Rainbow silverbeet is already on its way up and the worms are doing their job! We’re now planting pencil radishes, snowpeas and greens. Now’s the time to book your berry picking in late December or January! It’s Springtime here at Payne’s Hut so as the frost melts away, there is plenty that we’ve accomplished to share with you. 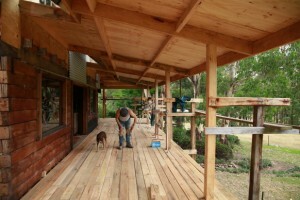 Early this year, Graham, his mates, neighbours and friends built a new wide deck around the main Hut that has transformed the building and the whole property. It now provides a wonderful place to look out over the High Plains and is perfect for long summer dinners. Of course! There are so many aromas and tastes that accompany each changing season and Spring is a very special time to visit us when the place is transformed into a photographer’s paradise. The mornings are crisp and we’re seeing many more sunny, blue skied days. It’s charming. Come on up and unplug from the world. Surround yourself with warm fires, feather quilts, and our beautiful scenery. In the past year, we’ve finished the bar which provides the quintessential experience of being by the open fire and sampling local wines. 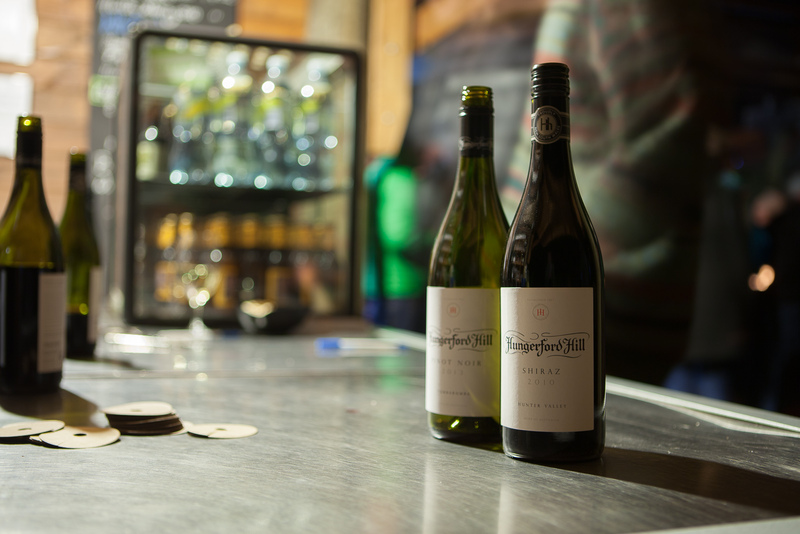 and a total of 120 people accommodated at Payne’s Hut and Mitta Mitta Campground in Happy Glamper tents. 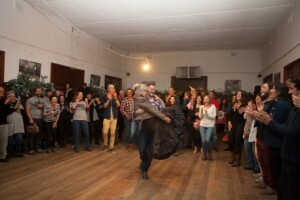 A year in the planning and making, it was an experience we all revelled in, including sprucing up the Glen Valley Hall to delight many newcomers to bushdancing. 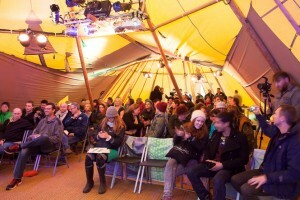 Tess and Graham’s Do Lectures talk will be online for the world to see here, later this month. We’re looking forward to the next Do Lectures Australia, set for 19-22 March, next year (apply here!). We’ve a few alterations that we’re working on in the meantime- enlarging the main kitchen and creating a new laundry building – as well as supporting the Do team with the design of the event and bringing the delights of the High Plains to visitors. The West Wing is now complete with a four poster bush bed made by Graham, using local logs and the new heater worked away well through the Winter. Thanks to Charlie Brown for the great photos! It’s a cosy wonder to wake in. 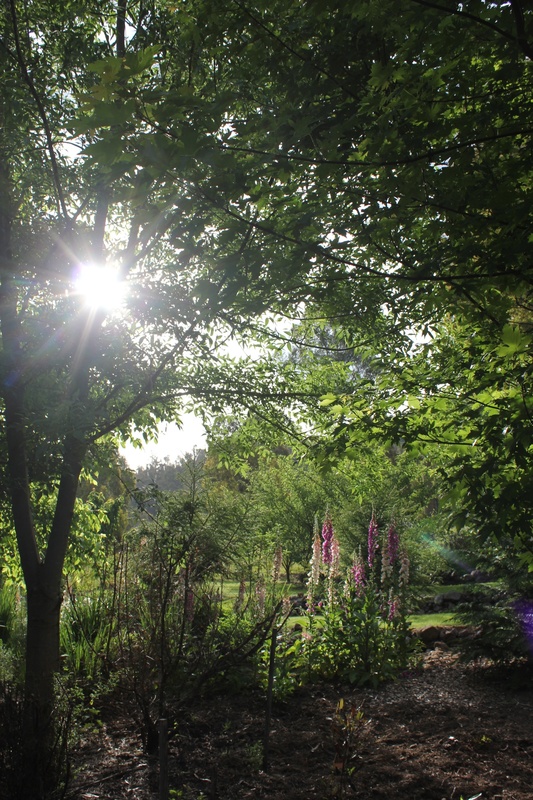 Read about the new developments in the garden here, the new workshop dates and we recently ran a competition for a free night stay on Facebook so do join in the conversation there as we’ll be sure to do more. Looking forward to seeing you soon. Come on over to see what Graham is busily doing in the main kitchen and do find your favourite book to bring along for your stay. We’re delighted to have a spruced up website. We hope you enjoy the new design and photos – more to come. Let us know what you think via Facebook. Payne’s Hut newsletters are also coming to be – we’ve always wished to do these every quarter or more often when something interesting is happening or coming up. They will be full of the latest news from Shannonvale, the garden, the construction, recent findings and events. We’ll entice and encourage you to book your annual stay to rest, recharge and unplug! Happy travels, relax – you’re almost here. With thanks to Mark Lobo, Liz Bull, Carly Heaton and Charlie Brown for the exceptional photos throughout the site, Karlie from Bali Buddies for our Facebook and Instagram management, Vanessa from The Exceptional Assistant for our newsletters and Sam from Runway Digital for the production. Happy restful time to you and yours!! We’re seeking a willing worker to stay in our Loft and would love your help spreading the message to people who would love to stay and work with us! The work in the garden is weeding, planting, and maintenance. Check out the photos below to see what’s in store. We’re seeking 4 hours work a day for scrumptious food and relaxing lodgings (or 8 hours one day then a day off). 3-5 days stay or longer if arranged after enjoying working together. Happy for one or two people – as long as two people’s load is accomplished – two singles or a couple. The Loft has a queen and a single bed and it looks out over the property into gum trees, the berry patch and dams. It’s a lovely place to sleep – there’s a postcard of stars out the window when you’re drifting off to sleep. We seek workers from November to March each year so feel free to let people know who can’t make this year. Looking forward to hearing from you and those you know. Feel free to call or email us for more details – click here for our contacts. 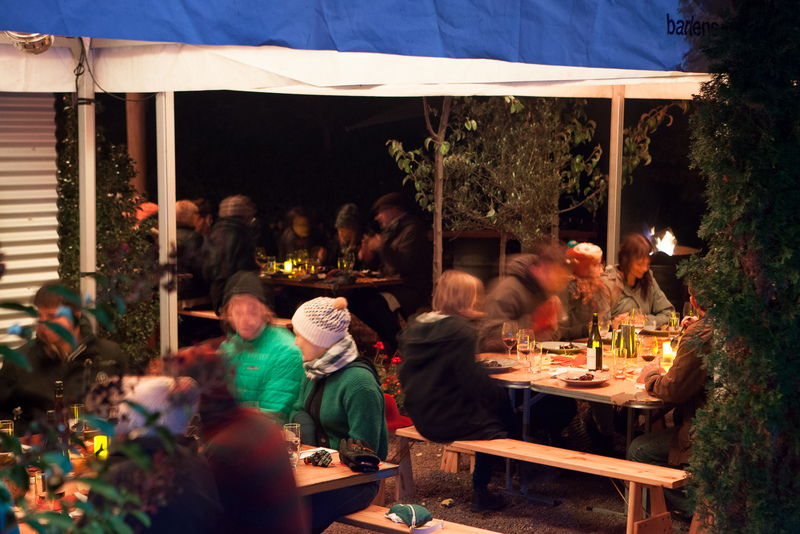 Payne’s Hut is hosting a Spring Feast with live music at midday, 2nd November 2013, Saturday at 96 Fitzgerald’s Road Glen Valley. Winter in the High Plains is long and hard. Each year we have celebrated spring with a feast. This year we would like you to join us. Traditionally, we leave most of the day as a surprise. What we can tell you is that you’ll be feasting from 12 noon with five courses and a complimentary glass of wine. Meal and live music during the day, at $100/per person – that is a great value. Due to the instability of the weather up here, we would like to keep the numbers small, say 30 to 40 people. “When holidaying in Italy, we Australians look for an Italian experience. In France, that quintessential French adventure. Based on this, our accommodation business here in the highplains of the Victorian alps follows this principle providing our guest with a genuine high plains experience using the five following elements. 1. Connection to our Australian culture. Set on cattle farms of four generations, you step back in time. Our rooms are large and well appointed. 1800cm x 1800cm photos of the cattle bring the outside vistas into the room and there are plenty of books on the cattlemen to peruse. 2. Our connections with history. We celebrate our history in the building design artefacts and furniture – giving it a sense of the cattlemen huts with all the conveniences travellers expect today. Comfortable beds, good linen hot showers & good food. 3. Connecting our guests with our environment. Should your interests take you, we’ll direct you to local walks, swimming holes and cycling areas, equipped with guides on sub-alpine plants and birds of the area and knowledge on the unique weather patterns here in the alps. Here at Payne’s Hut we serve food based on traditional Australian country cooking with a modern twist using as many local products as possible ~ including vegetables from our own garden. At the same time we acknowledge the reality as to where Australian cuisine is today, we use many culinary gifts available to us in response to multiculturalism. 5. Connecting to the people with themselves. The word is getting out! Payne’s Hut was featured in The Age Newspaper today. Check out the words from the ‘Traveller’ Section. Sue Wallace enjoys the rustic charm and high-country air at Glen Valley. Payne’s Hut is in Glen Valley, north of Omeo in north-east Victoria. Follow a winding road in the high country to the isolated, rustic retreat surrounded by towering gums and stunning scenery in the heart of the upper Mitta. You almost expect the man from Snowy River to come thundering down from the hills. 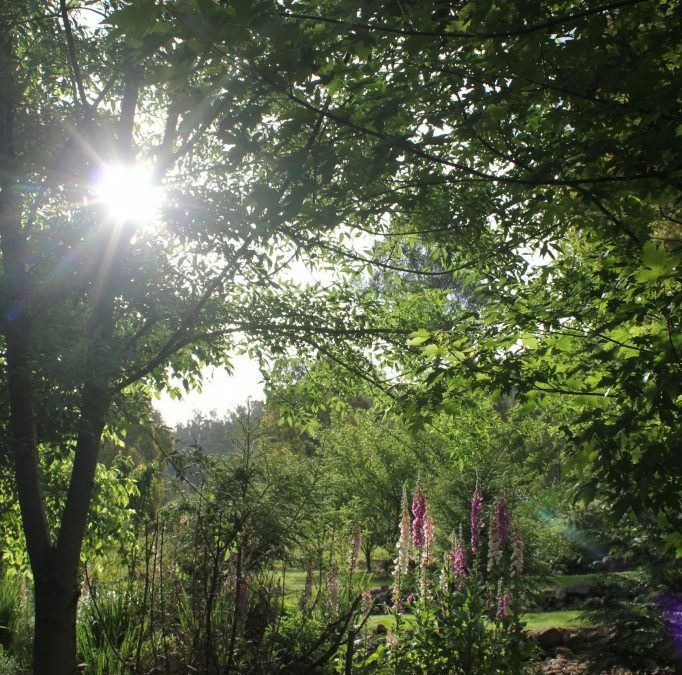 Payne’s Hut is surrounded by a colourful, cottage garden in spring and a thriving herb and vegetable patch in summer. The retreat has been built with purpose and passion from the ground up by owners Graham and Tess Payne, with help from the German League of Travelling Guildsmen. Four accommodation options are available including a stand-alone hut with bedroom and en suite, the two-storey barn with east and west wings with a bedroom and en suite either side of the dining room, and a small loft above the greenhouse with a shared bathroom downstairs. 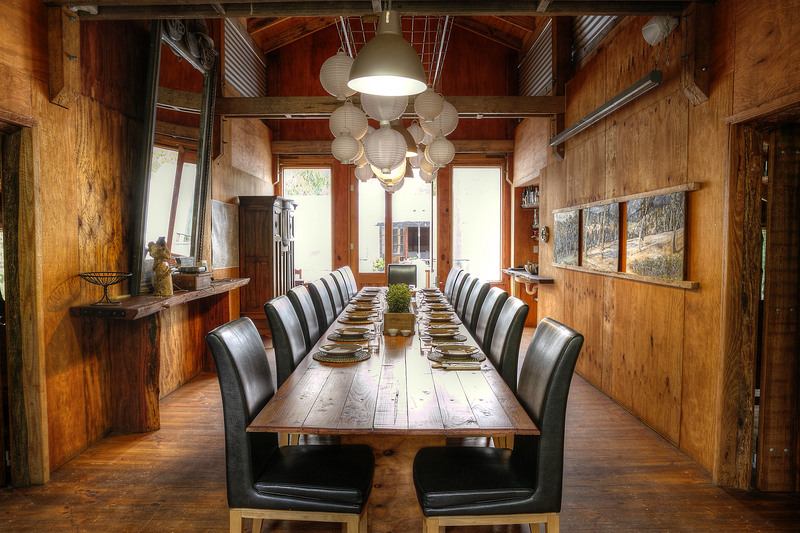 All rooms have timber floors, walls and ceilings and most of the furniture has been handmade by Graham. Beds have crisp linen and snuggly blankets and doonas, and you can request a hot water bottle in winter. The hut has a queen-size bed, en suite, sitting area and private verandah to soak up the views. There’s a Primus stove for making tea or coffee and a gas heater to keep away the winter chills. The setting is the drawcard; in summer, pink hollyhocks sway in the breeze, bright roses bloom and climbers creep over rustic farm artefacts. In winter, camellias flower and there’s snow on surrounding mountains and occasionally underfoot. There’s no television and mobile phones are out of range but there are lots of interesting books and DVDs available. In winter, snuggle up in bed or get toasty by the indoor or outdoor fire. You can sleep under the stars in summer covered by a canvas swag. Sit out on the new deck overlooking the pond and watch wallabies and kangaroos graze. 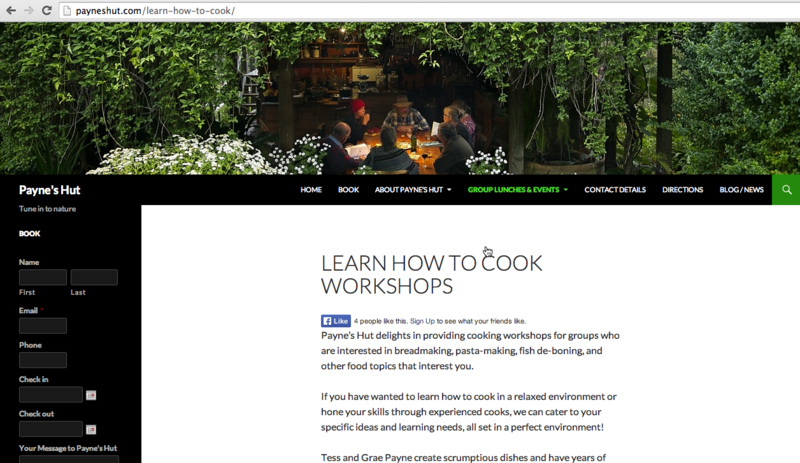 A hearty meal with produce from the vegie patch and local treats can be pre-booked. In summer, guests can cook or dine in the outdoor kitchen under Graham’s ingenious light made from rusty, stump jump harrows while a two-tiered water feature trickles in the background. We dined on the best pumpkin soup, tender lamb shanks and a berry crumble. Breakfast features cereal, Graham’s homemade bread, Tess’ delicious jams, preserved fruits or freshly picked berries and yoghurt. The Blue Duck Inn Hotel at nearby Anglers Rest, about 20 minutes away, serves meals. High-country heritage and history is showcased here where time seems to slow. It is perfect for exploring the high country on foot, mountain biking or four-wheel-driving. You can walk the Shannonvale track or the Kelly track in six hours. Trout fishing is popular in the nearby Cobungra, Bundara and Mitta Mitta rivers. Birdwatching, whitewater rafting, kayaking, horseriding and scenic driving can keep you occupied, or just laze around and contemplate life. It is also a photographer’s paradise with scenic vistas everywhere you look. The Paynes honed their cooking skills in France and offer workshops to learn everything from filleting a fish and baking bread to chopping wood, navigation and gardening. Perfect for chilling out in beautiful surrounds – knots in your shoulders untangle quickly. Payne’s Hut is a 2½ hours’ drive from Albury, 6½ hours’ drive from Melbourne and 12 hours from Sydney. It is 90 minutes from Mount Beauty and an hour from Omeo. Payne’s Hut, Fitzgeralds Road, Glen Valley, Victoria. 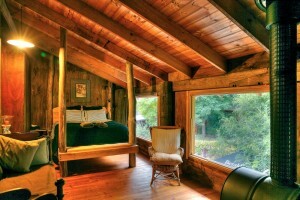 Price for two including breakfast from $160 a night for the hut and the barn rooms, and $110 for the loft. Two-course meals are $45. Bookings, 5159 7255. See payneshut.com. The front page of the Bairnsdale Advertiser today proudly showcases Payne’s Hut’s recent profile in The Guardian article ”100 boutique hotels for under £100: Asia, Australia and New Zealand”. Thanks to all involved! Tess and Graham Payne are onto a good thing. They know it, now they just want everyone else to know it too. Fresh attention from overseas could help them with that – a listing on the website of British newspaper The Guardian as one of the top 100 B&Bs in the world for under £100 ($A250) puts the remote accommodation provider among the A-list in the hospitality world virtually overnight. For owners Graham and Tess, they’ve done the hard yards for more than 10 years to become an overnight success. And to make it as only one of three B&Bs in Australia and New Zealand to make the grade, the Paynes are thrilled. “We’re one of three in Australia, which is an incredible coup,” Tess told the Advertiser. 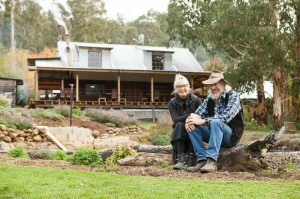 For them, says Tess, it’s about presenting visitors with a taste of the real ­Australia, the best food and wine the region offers and promoting the beauty of the Mitta Mitta Valley, built on principals on connections with guests, Australian food, culture and history and excellent hospitality. 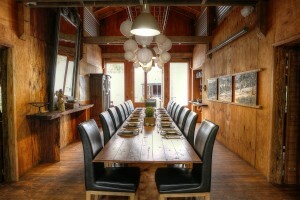 Payne’s Hut was ranked alongside a boutique hotel in Sydney and a B&B near Bowral in New South Wales. Tess thinks Payne’s Hut, not far off the Omeo Highway at Shannonvale north of Anglers Rest, was chosen for the top 100 list partly because of the B&B’s first-rate service, food and facilities and partly because the British journalist who came to stay fell in love with the remote beauty of the high country, with a little help from a pre-visit interview from East Gippsland Marketing. Tess was adamant Payne’s Hut offered the best product in Victoria from Albury-Wodonga to Lakes Entrance and the Payne’s were passionate about staying true to the property’s all-Australian theme. “People can’t help but have an enjoyable stay,” she said. 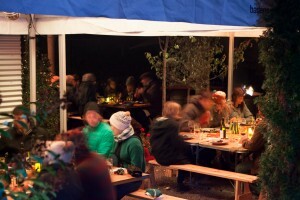 Payne’s Hut’s next big adventure is a spring feast to celebrate the change of season and showcase the region’s ­produce. To be held on November 2, the feast will offer live music and a range of five courses of local food and wine for 30 people on the day – visitors are welcome to stay but Tess says ample accommodation is available locally if visitors would like to stay in the area overnight.